Uses: Detoxification. Liver and gall bladder support, drainage, and detoxification. 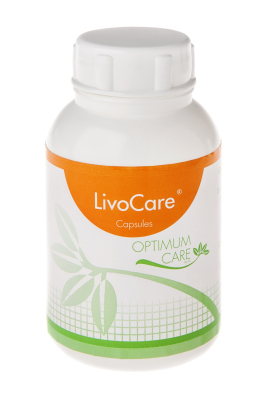 LivoCare is a specially formulated blend of herbs to assist with cleansing and supporting the liver. Livocare assists with the numerous detoxification, digestive and nutrient manufacturing functions of the liver and gall bladder. Treating the common symptoms to liver and gall bladder dysfunction associated with the high toxin load, hormonal stress and digestive stain placed on the liver and gall bladder by modern lifestyle and environment. 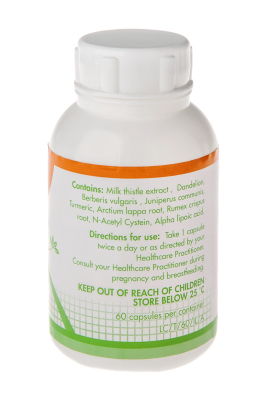 This specialised combination of Milk thistle extract, Dandelion and Berberis lappa root has a strong liver supportive and detoxifying effect on the body. These herbs combined with select amino acids (NAC) and essential fatty acids (ALA) is designed as a complete aid for liver and gall bladder function.